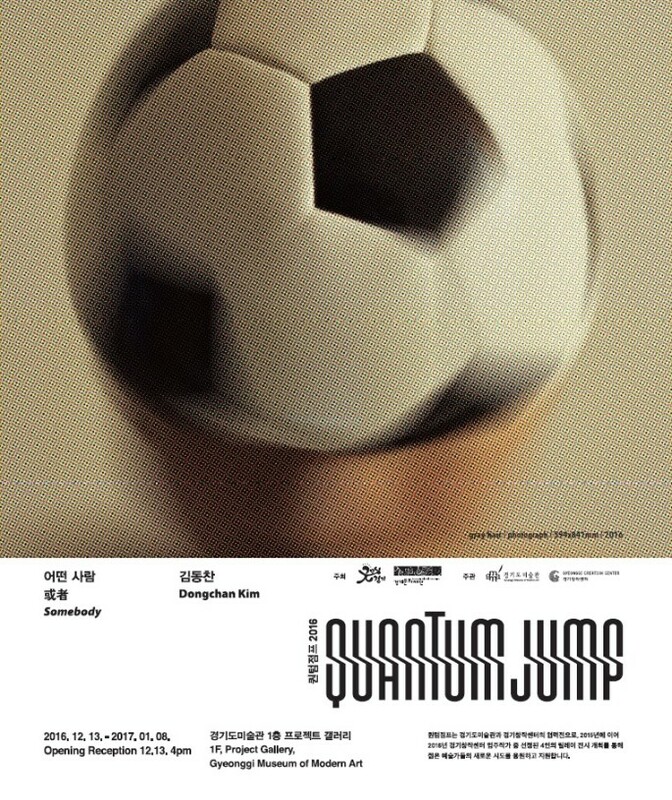 The Gyeonggi Creation Center and the Gyeonggi Museum of Modern Art present the relay exhibition Quantum Jump 2016: KIM Dongchan that will be held from December 13 of 2016 through January 8 of 2017. Quantum Jump is a series of exhibitions through which four resident artists are chosen to have their works displayed consecutively. Since 2015 this exhibition has been taking place at the GMoMA Project Gallery. This exhibit program is intended to provide up-and-coming artists who will lead the future of contemporary art with a platform for their activities while offering diverse content to viewers. With “quantum jump” (a physics term referring to the act of jumping from one energy level to another) as its title, each resident artist’s freestanding work is expected to come together to create explosive energy. 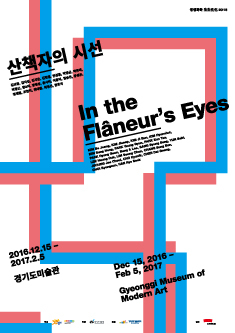 The Gyeonggi Museum of Modern Art is pleased to hold a group exhibition In the Flâneur’s Eyes opening on December 15, 2016. 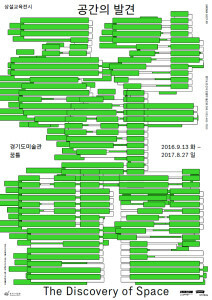 It features the new artworks of promising artists from Gyeonggi Province who were selected for the arts support program, 2016 The Life and Change, of Gyeonggi Cultural Foundation. They have maintained the attitude of ‘flâneur’ which artists are supposed to have: they have observed and recorded what takes place in their everyday life and their surroundings, keeping concern about the various aspects of this highly capitalized, or jeopardized society of our time. We would like to request the honor of your presence in this exhibition which is expected to be a meaningful occasion to look back on this most eventful year. Gyeonggi Museum of Modern Art is pleased to show the recent works of emerging artists living in the Gyeonggi Province who are expected to lead the future of Korean art. 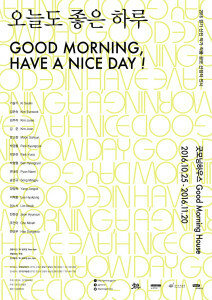 This exhibition "Good Morning, Have a Nice Day! ", featuring the works selected in the 2016 Gyeonggi Young Artists Competition, is held at Good Morning House which was reborn as a space for the province’s people after being remodeled from the Provincial Governor’s residence. 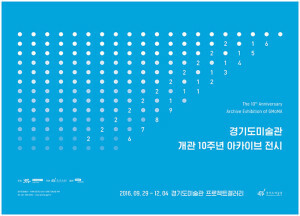 The Gyeonggi Museum of Modern Art (GMoMA) unveils the 10th Anniversary Archive Exhibition of GMoMA to mark its tenth anniversary. The exhibition features approximately 300 pieces of printed matter, photographs, and audio-visual materials pertaining to its exhibitions, educational programs and projects, and other diverse events alongside the preliminary design drawings for the museum building. The Gyeonggi Museum of Modern Art presents an educational exhibition of 《The Discovery of Space》 on the theme of “space” among the main elements of art. This exhibition has newly interpreted about 20 works from the museum’s collection. It is a part of the art educational business of the Gyeonggi Museum of Modern Art, which is served to share the pleasure of art with kids, teens and families. On October 25, 2016 the Gyeonggi Museum of Modern Art will present Gyeonggi’s 10 Masters: True Colors and Real Characters, an art exhibition to mark the 10th anniversary of the museum’s opening. 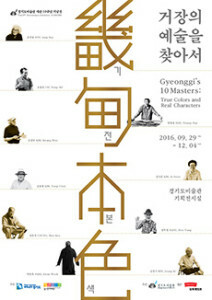 This exhibit will shed light on the art and life of ten senior artists who were born before 1950 and have lived in Gyeonggi-do for over 20 years, steadfastly dedicating themselves to creating works of art.